Ever come across the name? It’s not the most common of spirit categories here in the UK compared to the likes of whisky, rum or gin, but if you’ve ever visited any part of Scandinavia you will have more than likely drank some form of aquavit, the local tipple of choice. Aquavit itself is a distilled spirit from either grain or potatoes within pot stills, then redistilled with the likes of anise, coriander, dill or fennel, filtered with charcoal and then bottled without ageing. It is interesting then that when I visited Sweden to attend the Linie Aquavit Awards this year, I not only came across aquavit for the first time, but also an aged aquavit. The Norwegian brand of Linie can trace itself back to 1780 when Catharina Lysholm built the brig Trondhiems Prøve with her brother and sailed towards the East Indies in 1805. Within their cargo hold were five casks of potato spirit alongside other types of merchandise, hoping to open a trade route which ultimately failed. However due to the storing of the potato spirit within the deck cargo, it was discovered when the ship came back to Norway in 1807 that the spirit had vastly improved in flavour. Keeping this close to their chests, Jørgen B. Lysholm rebuilt his fathers soap factory into a distillery, before moving the distillery and offices to the centre of Trondheim and the creation of Linie aquavit. 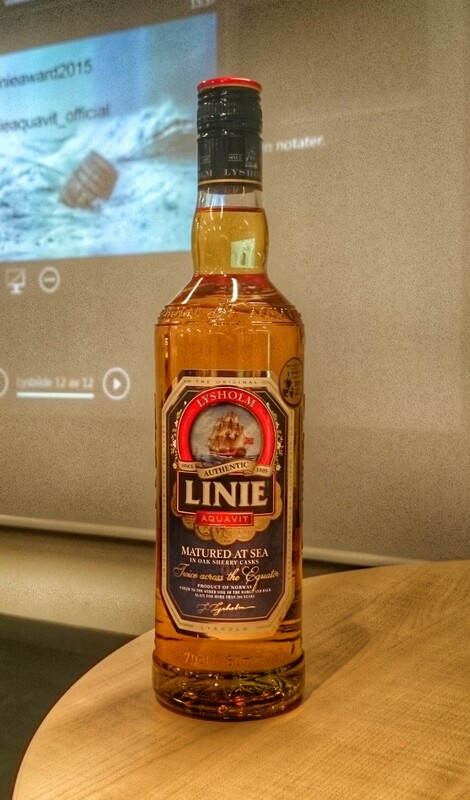 The unique maturation of the Linie aquavit has meant that for the last 200 years, the spirit embarks on a four and a half month journey, taking in 35 countries and crossing the equator twice. It’s interesting to note that at any given time, more than a thousand Linie aquavit casks are maturing as deck cargo. Rich on the nose with glazed fruits and fresh vanilla combining well. Very thin on the palate, with light flavours of aniseed bringing a lingering dryness to the finish. Matured within Spanish Oloroso sherry casks for 16 months. Plenty of honey on the nose, with fragrant meadow scents coming through slowly. A thin texture on the palate, with light flavours of kummel and aniseed drawing a dry finish. Aged for a further 6 months within selected port casks. Rich oak and soft port notes on the nose blend well, with the richness following to the palate. A boldness develops over time, with caramel flavours giving the finish a sweet, long experience alongside the heavy port notes. Fill a cocktail shaker two-thirds full with ice. Add the gin, aquavit and liqueur; shake vigorously. 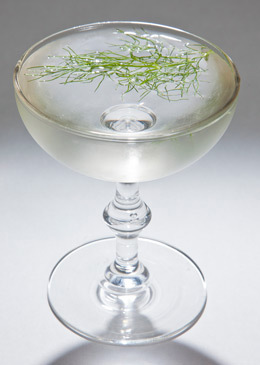 Strain into a chilled Martini glass and garnish with dill. Fill a cocktail shaker halfway with ice. Add the aquavit, lime juice and simple syrup. Shake well, then strain into a Champagne flute. 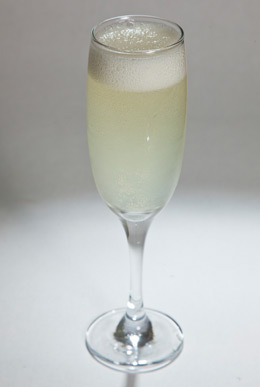 Top with the sparkling wine and garnish with the twist of lime peel. Linie aquavit is commonly drunk at room temperature within a tulip shaped glass, accompanying smoked salmon or marinated fish dishes, which shows off the versatility of this traditional Scandinavian spirit. A bottle to shake up your evening meal perhaps, or impress your friends with something a little different, or indeed head to your local bar as Linie is starting to push its way around the UK’s bartenders to really shout about the Norwegian flavour spectrum.